Esau and Jacob were the fraternal twin sons of Isaac and Rebekah. Esau, who was firstborn, was destined to receive the firstborn inheritance which amounted to twice that of the other children. So Esau would receive two thirds of the family inheritance and Jacob only a third. However, as a young man Esau traded away his double-portion inheritance for a mess of pottage. After a day in the field, Esau came back to the camp starving. Jacob was making a stew. When Esau asked Jacob for some stew, Jacob only agreed if Esau traded away his double-portion inheritance to Jacob. Esau was not willing to delay the instant gratification of a mess of pottage. The Bible says because of his lack of self-control, Esau despised his inheritance. Esau’s children would form Edom (Genesis 25:30) and become a bitter enemy of Isaac’s children — Israel. David Brooks in his article, What Marshmallows can teach us about life, writes about the work of researcher Walter Mischel who studied the importance of self-control. Mischel conducted a series of interesting experiments on human behavior in the early 1970s. He put four-year olds in a room with a marshmallow and bell. He told them that if they wanted to eat the marshmallow right away all they had to do was ring that bell and Walter would come in and eat it with them. However, if the child waited until Mischel returned on his own, the child could have two marshmallows. He then videotaped the child alone with the marshmallow. Throughout the session the four-year olds employed various strategies to try to control themselves: They would cover their eyes, kick their feet and squirm. Some lasted only a minute before they rang the bell, others lasted as long as 15. After tabulating these results, Mischel tracked the children as they grew up. They tended to have more problems with drugs at age 32. Those who demonstrated little self-control, dropped out of school for the quick money. Their life was characterized by a series of rash decisions leading to crime, delinquency, pregnancy and drug abuse. Mischel found the children with the strongest self-control didn’t resist it through sheer force of will power (i.e. 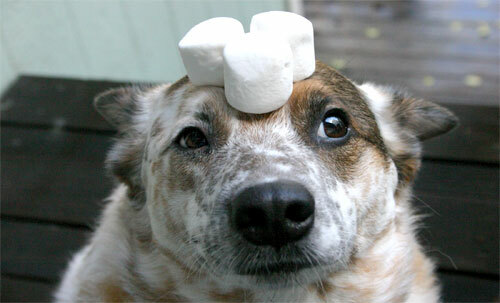 staring at the marshmallow and resisting the temptation). Instead they were able to control their appetites by focusing their minds on other things. Previous PostSatanic sacrifices on the doorsteps of Mesa churches? Next PostIs God protecting Israel by changing the direction of Hamas’ missiles? The terrorists think so!